Associate members are construction related companies that provide services for union contractor companies located in the Northwest Indiana Market. An Associate Member shall be entitled to all privileges of the Association except it shall not have voting rights or be entitled to hold Association office. ATC Group Services LLC is a nationwide consulting firm specializing in geotechnical engineering, construction materials testing (CMT) and environmental consulting services. 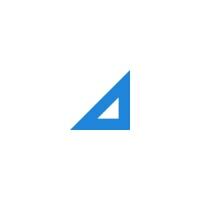 ATC has a strong regional focus with over 50 years of client satisfaction in the northwest Indiana and Chicago areas. We have over 1,500 staff in over 60 offices working on projects throughout the country. It's our extensive range of services and our innovative approach to enhancing form and function that contribute to our successes for clients at every stage of the project lifecycle. ATC can provide any type of environmental site assessments (Phase I & II ESAs), indoor air-quality and industrial hygiene services (asbestos, lead based paint, mold surveys), soil and groundwater sampling and testing, geotechnical engineering design and analysis, construction QA/QC materials testing (CMT) services, etc. We have registered Professional Engineers (PE), professional geologists (LPG), certified field and laboratory technicians, licensed inspectors, etc., to assist with any projects. Our field construction materials technicians are signatory to IUOE Local 150. Calumet Lumber Inc. has been in business since October 1906. We are in our fourth generation of the family business. While most lumber yards either built homes or serviced homeowners, we serve the needs of heavy industry and the industrial owners, engineers, and contractors of Northwest Indiana and S. Chicago. We proudly take the time to fully understand your needs and help to provide you with a solution for your project. In addition to standard lumber items and plywood, we stock wood scaffold material and our shop specializes in specialty blocking, wooden boxes, wedges. We can manufacture/procure almost any custom wood item. We recognize that our continued success depends on satisfying our customers. If Calumet Lumber does not stock the item you want, we will do our best to find it. epoxy grouts, and joint sealants manufactured by TOP quality companies. We also offer various steel products for pole barns, framing, siding, roofing, and other uses. Calumet Lumber Inc. works very closely with our vendor partners. As part of our excellent customer service, we offer training on the installation of grouts and concrete repair products. Our delivery is typically complimentary and we try our best to send it the same day the order is placed. We truly are more than just a lumber yard! As a family owned bank, we stand firmly behind our "Not For Sale" commitment, pledging to our associates, clients, and the communities we serve that we will continue to preserve independent hometown banking in Indiana. 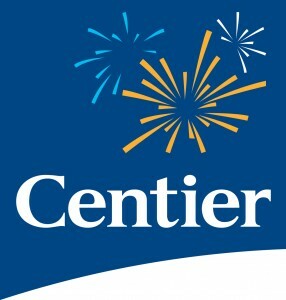 Centier has 54 locations and is currently serving in more than 26 communities with 800 associates and more than $3.5 billion in assets. CHS Occupational Health currently operates five full-service occupational health clinics located in East Chicago, Hobart, Munster, Portage and Valparaiso. We also provide many services at the worksite, from drug and alcohol testing, to onsite nursing, all the way up to comprehensive onsite occupational health clinics for large employers. Medical oversight is provided by an Occupational and Environmental Health board certified physician, and all staff are DOT certified for urine drug screens and breath alcohol as well as CAOHC certified for audiometry and NIOSH certified for spirometry. However, the overarching principles which daily guide our time are responsive customer service and communication. Community Healthcare System is comprised of three not-for-profit hospitals: Community Hospital in Munster; St. Catherine Hospital in East Chicago; St. Mary Medical Center in Hobart, and Hartsfield Village, a continuing care retirement community in Munster. Combining advanced technology with the latest diagnostic and therapeutic procedures, forefront research, and a network of highly qualified physicians, nurses and allied health professionals, the health system provides exceptional care for the mind, body and spirit. The Northwest Indiana health system’s vast network of care locations includes outpatient, surgical and rehabilitation centers, physician practices, behavioral health, occupational health, home care, a medically-based fitness center, Fitness Pointe, the Community Cancer Research Foundation and the Cancer Resource Centre in Munster. Community Healthcare System hospitals are regional leaders in orthopedics, cardiac and cancer care. As a non-profit organization, the healthcare system offers numerous free programs, special events, preventative screenings and support groups that aim to help to improve the quality of life in Northwest Indiana. The healthcare system’s parent company is Community Foundation of Northwest Indiana, a 501 (c) 3 non-profit organization that provides leadership and resources for the enhancement of health and the quality of life in Northwest Indiana. Projects that the Foundation has fostered have served to strengthen art, culture and quality of life in local communities, including the development of The Center for Visual and Performing Arts; donation of the land and funding to create the Community Veterans Memorial and Community Estates, a residential neighborhood development in south Munster. 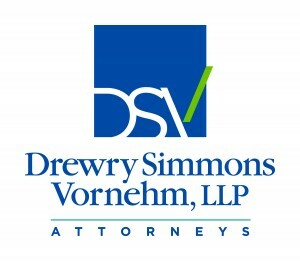 Drewry Simmons Vornehm, LLP (DSV) was originally founded as a construction boutique law firm in Indianapolis. The focus of DSV's practice was exclusively on providing legal services to all aspects of the construction industry, including public and private owners, design professionals, general and trade contractors, construction managers, material suppliers, insurers and sureties. DSV has developed a depth of understanding of the legal and business issues that can arise on construction projects, allowing our attorneys to provide practical advice from the contracting stage through project completion and claim resolution. As the firm expanded, so too did the practice areas of DSV. Our attorneys provide legal representation and counsel to individuals, business and public entities on a wide range of issues from business formation, corporate governance, real estate transactions, employment matters, civil litigation, insurance coverage, alternative dispute resolution, estate planning, adoption, and health care services. Our firm was founded on construction, but we build in other ways. 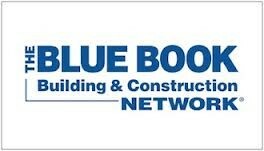 Give us a call and let us demonstrate how we can help you. The Horton Group is an insurance, employee benefits and risk advisory firm that leads clients with complex needs and limited resources to a higher level of performance. Higher performance is achieved when we drive down a contractor’s cost, workload, and risk – every service, every interaction, everything we do, is with these objectives in mind. We help our construction clients lower the true cost of their risk by focusing on risk management, supported by industry-leading claims advocacy, loss control, and risk advisory strategies. Horton’s Construction Practice was specifically designed with the needs of this industry in mind through active involvement in the Indiana Constructors, Inc. (ICI), Michiana Area Construction Industry Advancement Fund (MACIAF), CFMA of West Michigan & Northern Indiana and Northwest Indiana Contractors Association (NWICA) by creating dedicated programs with comprehensive insurance coverages. Visit our events page for a diversified listing of speakers, webinars, and industry-related seminars focusing on claims, risk management, employee benefits, and thought-leadership. Now is the time to think about how your business can achieve a higher level of performance. For over 50 years, James F. Giannini & Associates has provided design, construction, and consulting services. Our services build upon each other to offer a one-stop shop for all your project needs. From conception to completion, JFG brings the technical expertise, experience, and design aesthetic to deliver your project on time and under budget. Architecture - We partner with you to develop a design plan that works with your site and overall vision for the project. The ultimate goal is to furnish our clients with a complete set of construction documents for permitting, bidding, and construction. Engineering - Our in-house engineering capabilities allow us to complete all necessary structural and mechanical/electrical/plumbing (MEP) engineering for your project. Whether JFG completed your initial design, or you are working with another architect, we can deliver timely and affordable engineering services. Design/Build - As your project transitions from design to construction, JFG offers a unique construction management solution. As agent for the owner, we are your single point of contact, we manage all aspects of construction, and we return savings to the owner - where they belong. McCann Industries is a wholesale distributor of construction materials and construction equipment founded in 1967. We service Northwest Indiana from our branch office and service center in Schererville, IN. Light Equipment lines include; Wacker, Huqvarna, Stihl, Honda and many more. We serve contractor and municipal clients working in the fields of underground construction, utilities installation, highway paving, bridge construction as well as commercial and residential concrete construction. Our mission statement summarizes what we hope to accomplish every day: "At McCann, we are committed to exceptional customer satisfaction by providing quality products, sound technical support and responsive, reliable service. Our goal is to add value to all of our business relationships and . . . To Be Your First Choice!" About Ozinga Ready Mix Concrete, Inc. Established in 1928 in Evergreen Park, Illinois, as a small coal and coke yard, Ozinga survived the Great Depression and World War II before becoming one of the first ready mix providers in the region. Since 1952, we have faithfully met the needs of builders throughout Illinois, Indiana, and Michigan, holding to our longstanding commitment to provide top-quality concrete building materials at a fair price. Today we provide ready mix concrete, decorative concrete supplies, and bulk materials while offering transportation services through an extensive network of truck, rail, barge, and ship terminals. 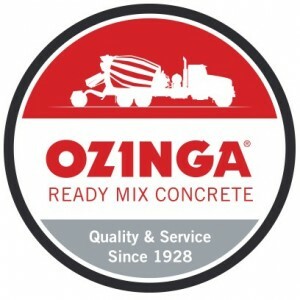 Perhaps best recognized for our red and white striped Concrete Mixer Trucks, Ozinga is proud to be an American-owned, fourth generation family business serving the Chicagoland metropolitan area and beyond. About Steel Cities Steels, Inc.
Steel Cities Steels, Inc. is a metal service center serving Chicago, Northeast Illinois, Northern Indiana, and Southwest Michigan since 1952. We sell a full range of carbon steel products as well as aluminum, and stainless. We provide a multitude of first-stage processes and offer same day service on most orders. We are experienced in serving many different industries and the spectrum of special needs that each requires. We make steel easy, so you can focus on what you do best.